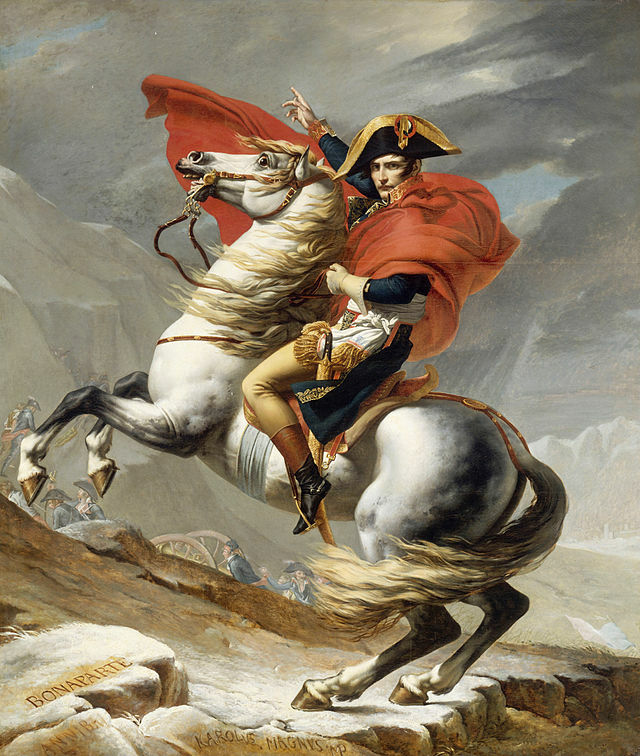 My second favorite historical time-period is: The Napoleonic Era. It’s hard to define actually, but I’ll try. The era is a turning point in ideologies; coming out of the French Revolution, there are so many ideas about government, leadership, and societal control which laid the foundation for some good and some dangerous movements later on. It’s an era when they still glossed war as a romantic ideal – okay, it wasn’t, but look at the picture of Napoleon at the top of this post and see what I mean. Now some odd random reasons: I like Nelson era sailing ships, Jane Austen was a good writer, and it’s fascinating that the era is named after the guy who lost. Join us each Friday for the theme post of the week. And…on Facebook find daily posts with random fun-facts, short video clips, photos, etc. etc. etc. all related to the Napoleonic Era. Looking forward to a great month in my second favorite era! Like this here on WordPress or on Facebook if you’re looking forward to the topic of the month. P.S. Between March 15 and 21 Gazette665 blog and Facebook will be GREEN for St. Patrick’s Day. It should be a fun week with Irish history, recommended books, a special day to remember the role of the American Irish in the Civil War, and our very first guest blogger! And I’ll tell you one other secret – next month will be an American Civil War theme.